Memory foam is renowned for complaints about it sagging and sinking over time. The truth is this will always happen when the same side of a mattress is repeatedly used night after night without rotating or turning it. Our article gives you some advice on how to minimise any sags or dips. So the quick answer to whether memory foam will sag or dip is yes it will. Memory foam compresses far faster than hybrid or latex foam beds. How much will my memory foam mattress sink? Compression is not always a bad thing, though, take the example of a new sofa at first when it arrives the cushions may look lovely and plump but, when you sit on it, you feel like you’re just resting on the top of the firm cushions, then after a few weeks the cushions ‘bed in’ and you get a more comfortable experience. This is the same with all foams. Our guidance is that all foams will compress at some point, it is more important to assess the percentage or amount of compression. How far will my mattress compress? The industry accepted amount of sag in a mattress is 2cm. Which means that any indents of 2cm that don’t return to their original position are considered acceptable. This is a real issue with memory foam mattresses as the foam tends to hold a sleeper in one positon meaning this quickly becomes a dip where the sleeper lies. Far faster than a Natural Fibre Pocket Sprung Mattress. There’s no way to turn or even out memory foam wear, unlike Natural Fibres. A dip is where part of the mattress has compressed beyond its tolerated level, assumed as 2cm in memory foam. 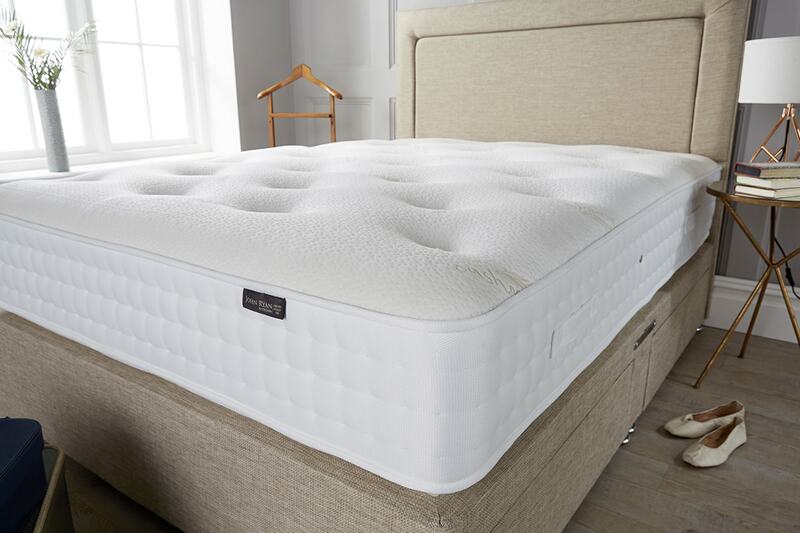 It is usually the reflex layer that has failed as there is too much pressure on it for its intended use, or in cheaper mattresses, the quality is so low of the foam that it will fail when put under stress. This causes a crater or hole effect that’s permanently embedded in the mattress. Once your mattress has dipped like this there is zero you can do to rectify it. The best method is to prevent this from happening in the first place with your mattress. This is where choosing a mattress with significant upholstery can almost eliminate the potential for sagging. How can I prevent my mattress sagging? This is why it is so important to ensure you choose the right mattress for your specific needs. Choosing the correct mattress for your weight and tension will enable you to reduce the issue of compression or potential sagging that may be found with an unsuitable bed. 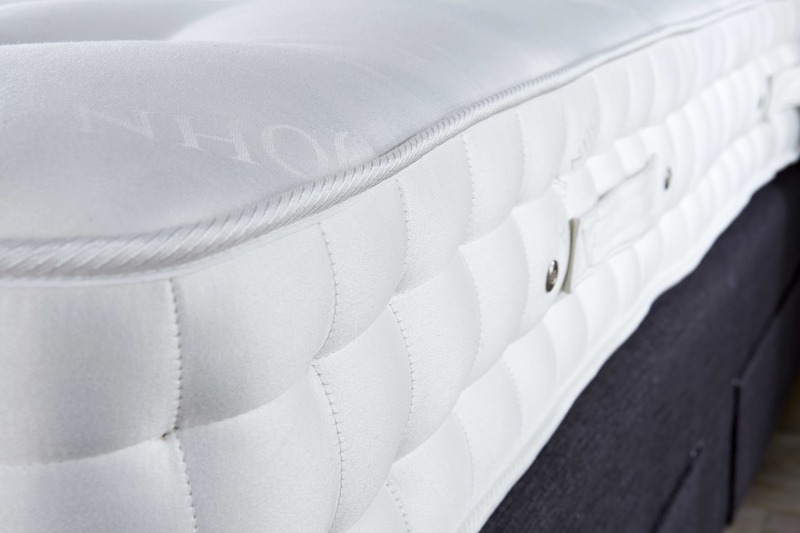 The easiest way to prevent a mattress from sagging is to buy a high-quality Natural Fibre pocket sprung mattress such as our Origins 1500 mattress. This removes the issues experienced by many with Memory foam and foam pads where they get crushed quickly from wear. However, If you do choose a Memory foam mattress you need to make sure that after this compression you still have enough memory foam to react to your body to support it and offer the comfort you require. The prime example would be a cheaper memory foam mattress which offers 2cm of memory foam, leaving little to no room for compression, causing a potential dip. You should be looking for memory, hybrid, latex foam or other upholstery materials in the quantities that will offer enough depth after compression. 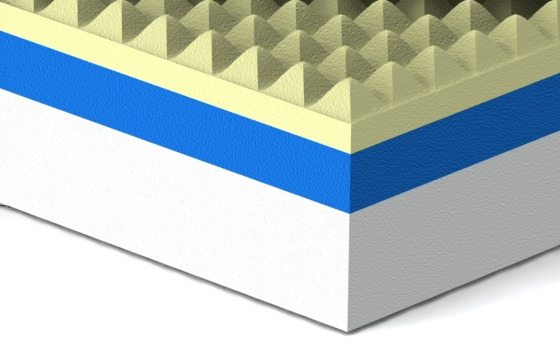 We only supply 5cm upwards of foam in multiple layers in our mattresses giving you more confidence that as your bed ‘beds in’ you still have the correct amount of foam to mould to your body. We wouldn’t recommend anything less than 5cm of any memory foam, hybrid foam or latex as a top ‘comfort’ layer. How can I reduce compression and avoid dips? One way is to make sure you rotate and turn your mattress regularly, once a month if possible. This will even out the wear. With a traditional mattress, you are guided to turn and rotate the mattress, with memory foam some mattresses construction methods make this unnecessary. With our unique dual construction method, the topper is fully turnable and can be rotated as well to increase the longevity of your mattress. Always look for a model with a separate removable topper this ensures that not only can you rotate the core mattress, but turn and rotate the topper. The topper takes the brunt of the compression and you can even this our with turning. It means that if years down the line the topper has compressed beyond what’s comfortable, you can simply replace this and not the entire mattress! Again, the best way to prevent sagging is with a quality Natural Fibre sprung mattress that can be turned and rotated to even out wear and tear over its lifetime. You simply can’t do this with a one-sided foam mattress. All foams and upholstery layers will have a tolerance of 2cm compression over time. 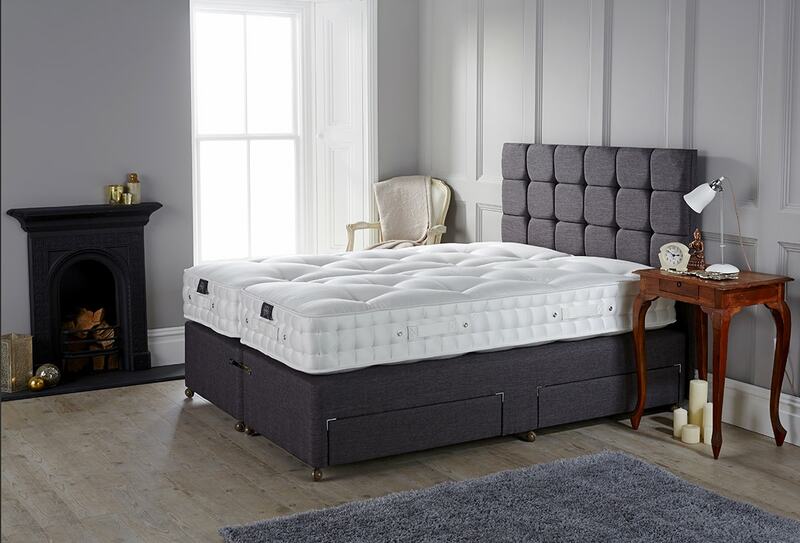 By choosing a well upholstered and pocket sprung mattress you can significantly reduce the potential for sagging and dipping. This is not always a negative, you need to make sure that you can even out this wear as best as possible by turning and rotating where possible. On one-sided mattresses we advise always having a separate topper comfort layer which enables you to do this and prolong the life of your mattress. Simply using your mattress night after night without any monthly maintenance will only speed up and exacerbate the compression and dips that may occur.